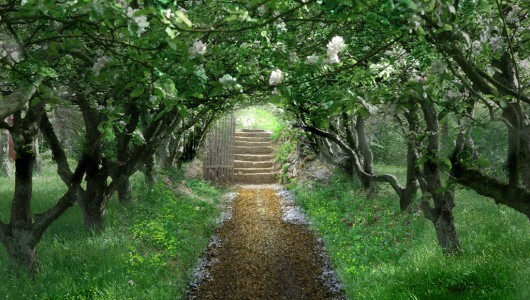 The Secret Garden is scheduled for May 28, 29, 30, and 4, 5 and 6 June at the Hirsch Theatre. Based on Frances Hodgson Burnett’s classic children’s novel of the same name, The Secret Garden was written by Lucy Simon (music) and Marsha Norman (lyrics) and premiered on Broadway in 1991, where it ran for 709 performances. The original production won, amongst numerous nominations, 3 Tony awards and 2 Drama Desk Awards, for score, lyrics, design and orchestration. The highly successful Australian tour in 1995 starred Anthony Warlow, Marina Prior and Philip Quast, and the show also had a successful West End run in 2001. Living in a lonely manor house on the Yorkshire moors in 1906, Archibald Craven yearns for his beautiful, late wife Lily. He blames his crippled son,Colin, for his wife’s death. Although he loves Colin, he cannot cope with seeing him, and has left Colin isolated and in the care of his doctor uncle Neville. Their quiet routine is turned upside down when young Mary Lennox, a rich, spoiled child, is sent to live with them following the death of her parents from cholera in India. Mary is the late Lily’s niece, and has no relatives closer than Archie, whom she has never met. While living at the manor house, Mary discovers a secret walled garden hidden in the grounds and with the help of local child of nature Dickon, releases the magic and adventures locked inside, changing all of their their lives forever. Character: Master of Misselthwaite Manor, Archie is a mildly handicapped man who lost his beloved wife Lily in childbirth. He is a deeply unhappy,reclusive man who has been preoccupied with his loss for 10 years. Unable to face his son, who is sickly and bed-ridden. Character: Housemaid. An extremely warm, good-hearted girl, feisty and courageous. Needs a belt vocal quality as well as vocal warmth. Requires Yorkshire accent. Needs to be able to inspire Mary when she is at her lowest. Character: Archie’s invalid son who is bed-ridden and has no company other than his dour uncle and servants. Capable of being very rude and petulant,but essentially sweet-natured. Character: Housekeeper of Misselthwaite Manor. A very competent and business-like woman who is very severe and shows little warmth. Requires Yorkshire accent. Additional roles for chorus and children available.